Want to Learn More About Hungarian Kuvasz? 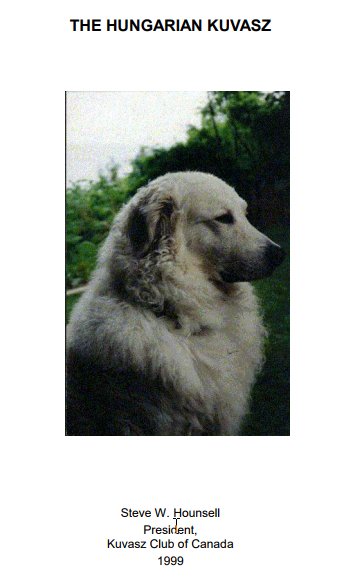 Years ago, a good friend of mine, Steve Hounsell wrote a small book about The Hungarian Kuvasz. He has graciously allowed me to share it with you. Simply click on the ebook cover to get access. (The photo is of Steve’s beloved Shadow.) Enjoy!